Adopt a dynamic driving and experience new sensations. The Energy TCe 150 engines and Energy TCe 200 benefit from automatic EDC double clutch and seven reports to give you flexibility and responsiveness at all speeds. With technologies derived from Formula 1, our engineers have significantly limited consumption and CO2 emissions from these engines. You enjoy the comfort and reduced consumption for driving 100% fun! 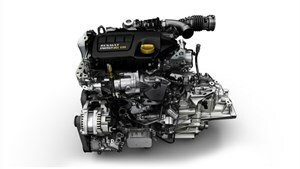 Engine emblematic of our brand, the Energy dCi 110 engine ECO2 a fuel consumption and emissions at the highest level. Thanks to technological innovations developed by our engine, such as low EGR valve and high pressure, the active thermal management or energy recovery during braking, you consume less and pollute less you while you pleasure. With its new turbocharger the Energy dCi 110 engine responsiveness and torque ECO2 offers you at low revs for smooth driving. Treat yourself to the sensations of a 2L with 25% less consumption! 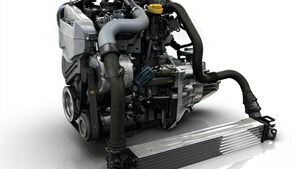 Thanks to technologies developed and introduced by the Formula 1, our engineers have reduced the consumption of engine blocks by working on combustion, their size and temperature rise. 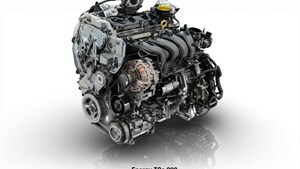 With two turbos, the Energy dCi 160 engine makes you excellent performance. Times at low speed, incisors raises and powerful acceleration: it embodies efficiency Pure! Save your fuel through the pack Eco Driving. You can reduce your consumption by up to 25%! Once activated, the Eco mode works on limiting engine torque to restrict acceleration while retaining enough power for you to enjoy a comfortable ride. This limitation automatically adjusts to altitude and load TALISMAN Renault to keep the same level of acceleration.also benefit from the monitoring Eco, Eco and Eco scoring coaching. These systems provide information about your driving and give tips to optimize it. A specific tachometer particular tells you when to change gear to consume the least amount of fuel. 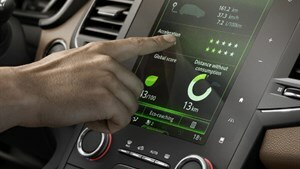 To turn the Eco mode, nothing more simple. With Kick down, you just have to rely heavily on the accelerator to switch to Normal mode. Do you know that at 50km / h and 130km / h, the aerodynamic resistance is respectively responsible for 50% and 85% of consumption of a vehicle? 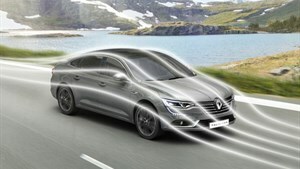 Because our engineers and designers are more than aware they worked hand in hand to cure the aerodynamics of Renault Talisman.Shutter air assets, management of airflow under the hood, air curtain, underbody fairings ... everything has been designed to reduce energy loss due to air resistance.